It is very simple and natural and local made settings, Environment is more village than with green all around and creek as well as dense forest background and Himalaya in front view in North and few small hills around and terrace. Nearest Railway Station: Raxol in India near to Birgunj. Nearest Airport: Trivuvan International, Kathmandu. 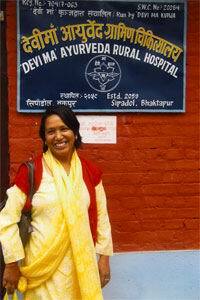 Devi Ma first opened in December 2002 through the vision and dedication of Dr. Sarita Shrestha. This small Hospital provides low cost healthcare for both rural and nearby urban populations. This tiny hospital is run without any government funds, and exists today only due to her efforts and donations of others who volunteer time and money to her dream of serving those most in need of healthcare. Devi Ma is the facilitation of health camps in rural villages, where often no healthcare is available. These serve to inform and train local birth attendants, alongside the treating of whole communities. Several thousand people can be seen in a matter of days that otherwise would go untreated for both serious and minor illnesses. Internships for Ayurvedic Doctors and international students of Ayurvedia are available. These offer a working laboratory to see Ayurvedic Medicine in action for both minor and major illnesses. This is provided under Dr. Sarita Shrestha and her staff. 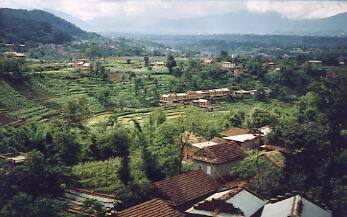 A thirty-bed Ayurvedic hospital with a family planning and birthing center, gardens where medicinal herbs are grown, an herbal pharmacy, and a place which serves as a cross-cultural educational and retreat center for an international community of holistic healthcare practitioners and students. We offer the following treatments are: Basti Karma, Virchana Karma, Vamana Karma, Nasya Karma, Pizzichil, Netra Tarpana, Shirodharra, Localized Bastis, Other Treatments: Kati vast,Uttar VbBastiand more local bastis. The speciality of hospital is Women's health. 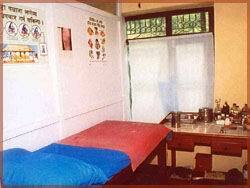 At Devi Ma Ayurvedic Hospital, services are provided for little or no cost. Training for traditional birth attendants (midwives) and promoting Ayurvedic Medicine and theory into the community, for people to treat themselves and prevent illness is the main vision behind this Hospital. 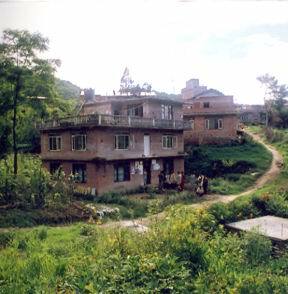 Dr. Shrestha is the founder and director of this hospital. She is internationally known as a leader in Nepal's women's healthcare issues and received many prestigious awards. As the first woman Ayurvedic Doctor in Nepal she is known for her dedication to Ayurvedic and her selfless volunteer work in the field of women's health. She teaches both in Nepal and abroad. Dr. Sumana Thasineku, who followed in Dr. Shrestha’s footstep, becoming the second female Ayurvedic Doctor in Nepal, is on staff as the full time physician and two community heath workers. One health worker stays on site 24 hours a day in case emergency care is needed or a patient requires overnight care. A social worker who coordinates programs with the local villagers and a woman who looks after the clinics daily maintenance along side two women volunteers from the community provide care to many people. Devi Ma is run by the staff and local volunteers who give their heart and soul to the success of this Hospital. We provide food from our own Garden. We provide simple rooms with local made mattress, quilt and blankets and real village environment and village life in nature. Our charges are flexible according to needs and demand. between 25US Dollar to 1200Dollar one day to 45 days. The Hospital has a dressing room, examination room, delivery room, and observation room. The information is provided by Dr Sarita Shrestha. Address: Sipadole, Bhaktpur, GPO.NO 3156, Kathmandu, Nepal.